You are here: Home / Givi Product Focus / Accessories / Key and Barrel Kits for Monokey Cases and Panniers. If you have bought a selection of Givi Monokey hard luggage for your bike and are now finding yourself annoyed at having to use 3 different sets of keys then remember that you can always swap out the lock and barrel for replacement key sets with the same key code. So if you’re fed up carrying more keys than you need to, have lost your own key/s or perhaps need to replace a barrel and key set due to attempted theft then fear not – they are replaceable. The catch is that the Givi v35 Panniers, V46 Panniers, E52 Topcase and the E55 Topcase take a different barrel and key set. So if you have a mixture of these named luggage cases and anything else in the Monokey range you will be stuck with separate keys still. Z228, Set of Three locks with corresponding bush. 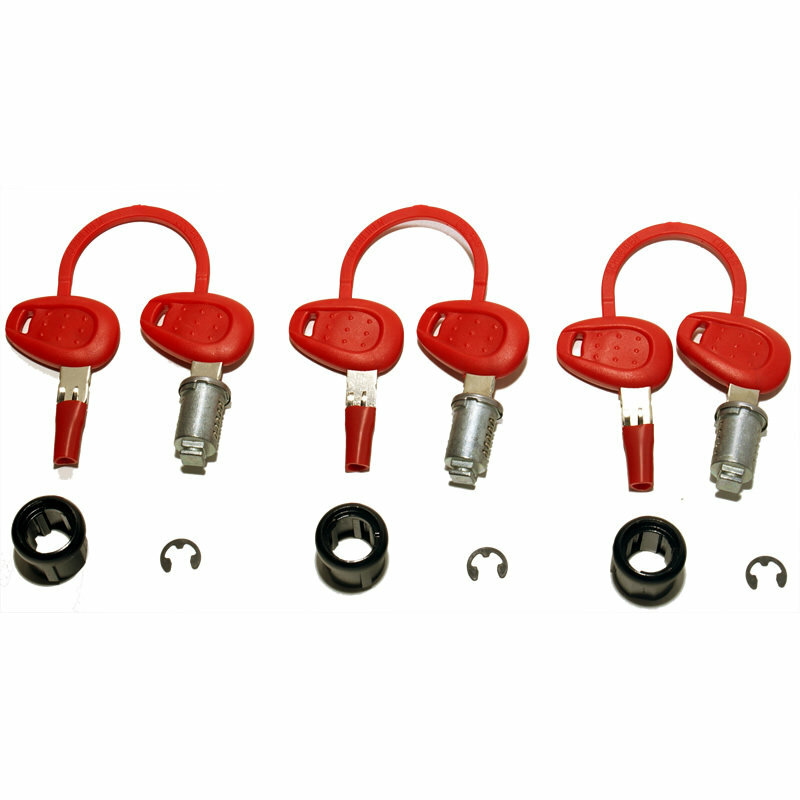 Z1382, Set of five key locks with corresponding bush. Lock barrels on their own – suitable for all cases except v35, v46, E52, E55. Lock barrels on their own - suitable for V35, V46, E52, E55. Z661, Lock barrel for case lock.